with Amelia's mother Debborah Dale, awaiting the arrival. Back in the year 1937, a famous aviatrix by the name of Amelia Mary Earhart, departed from the Oakland Airport on May 20, to fly around the world in a twin engine Lockheed Electra 10E monoplane. She departed Lae, New Guinea on July 2, 1937, but unfortunately, she disappeared near Howland Island, in the Pacific, and was never found. by many TV and newspapers' reporters. Now, 77 years later, another aviatrix by the name of Amelia Rose Earhart started the trip from the now Oakland International Airport, North Field, to repeat the flight around the world. Amelia Rose Earhart is no relation to the original Amelia but was named after her and has been inspired by her. 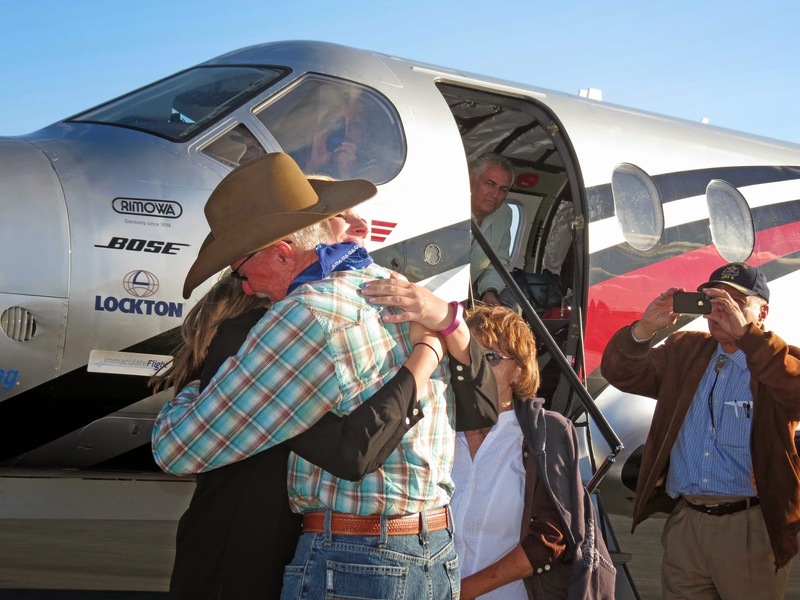 Amelia Rose Earhart is embraced by her father Glen Earhart. Juliet Goodrich, Channel 7 news anchor. 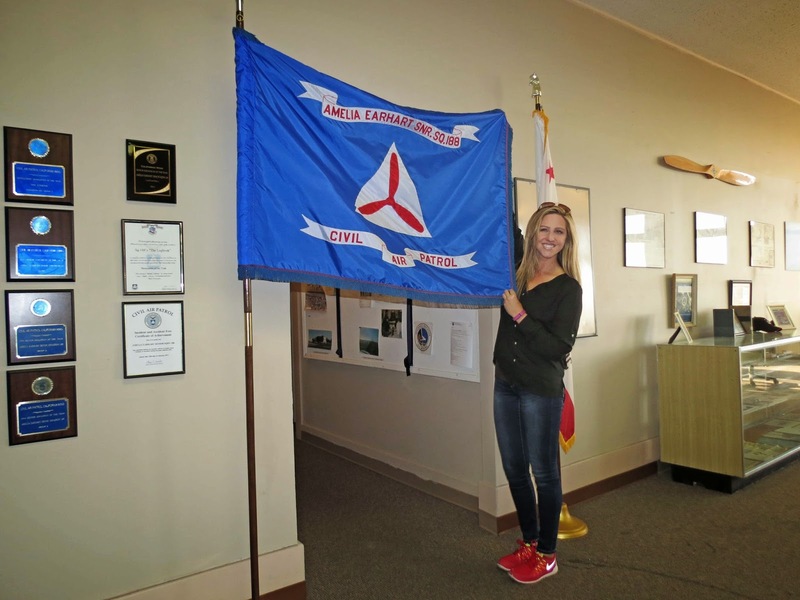 Amelia Rose Earhart holds the Squadron 188 flag. 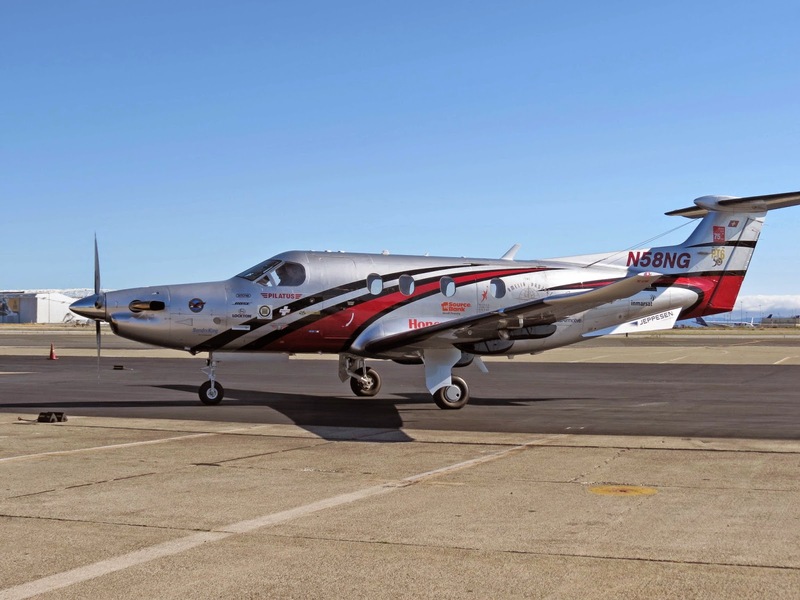 This time, Amelia Rose Earhart flew a Pilatus PC-12 NG turboprop (single engine) monoplane with the latest technology for communication and Global Positioning System (GPS). The communication allowed Ms. Earhart to be in contact with any radio station at any airport. In addition, she had on board a satellite telephone. The plane, a very reliable model with a turbine engine, allowed her to climb to 23,000 ft. altitude with no problem at all, with speeds in the range of 230 knots (253 miles per hour). during this very emotional moment. 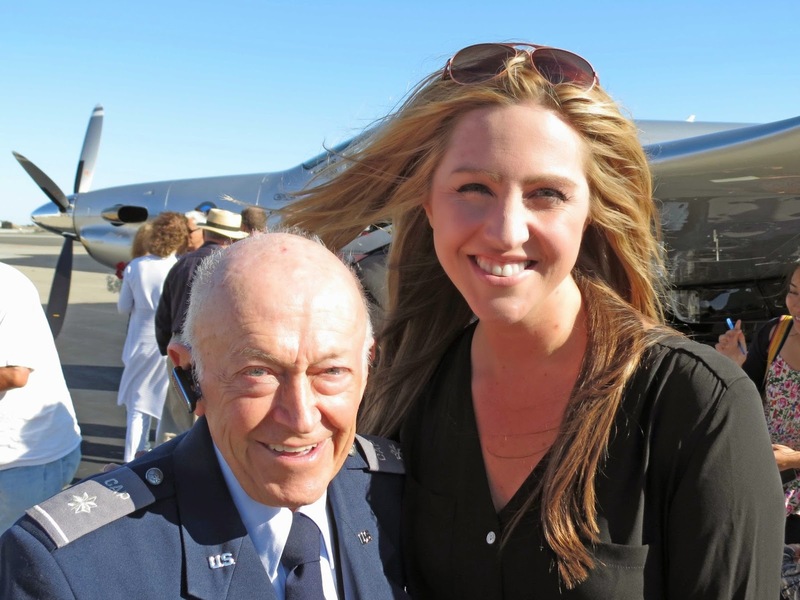 Ms. Earhart was accompanied by copilot Shane Jordan, from Denver. On her departure from Oakland on June 23, the writer made a deal with Amelia Rose. 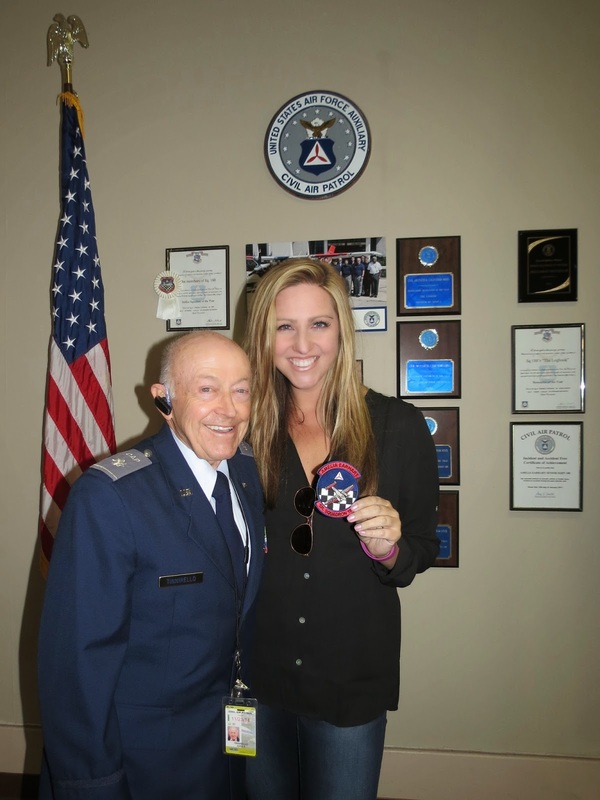 He gave her 2 patches of the Amelia Earhart, Senior Squadron 188 of the Civil Air Patrol, on one condition. She would take both patches around the world. On her return she would keep one, and the other one would be placed on the Amelia Mary Earhart Wall of Fame at the Squadron 188 Headquarters, located at the Oakland International Airport, North field. 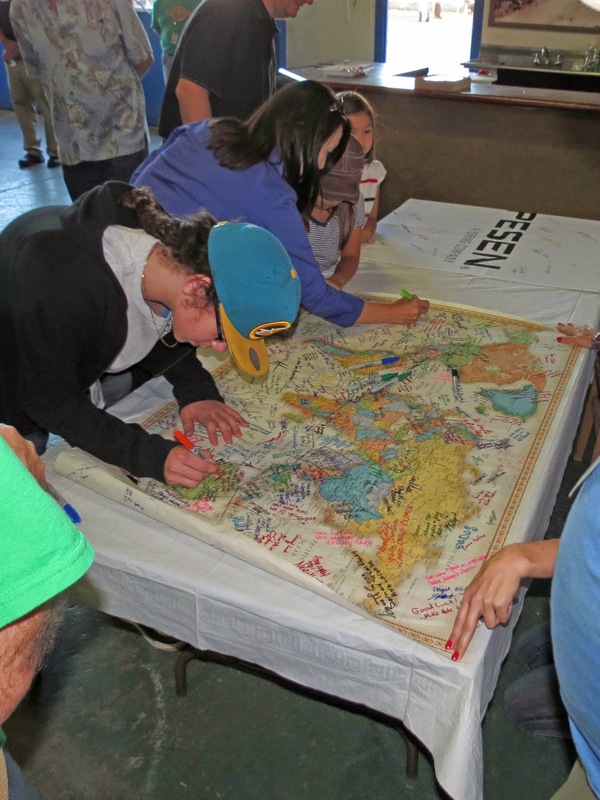 The patch was placed on a special frame naming the event and signed by Amelia Rose to testify that it is the patch that she took around the world. she came to Oakland Airport. 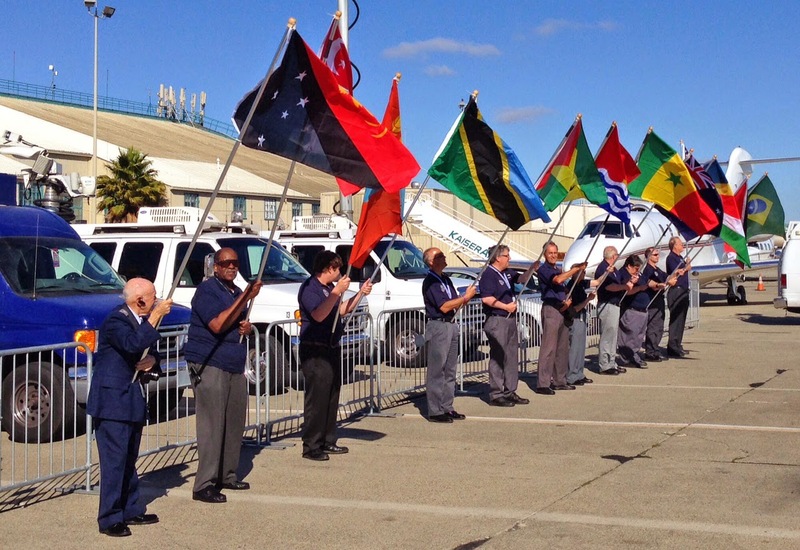 To celebrate her arrival on July 11, 2014, senior members of Squadron 188 lined up at the ramp of Kaiser Jet Center, holding flags of the 14 countries where she landed during her voyage. Press and TV cameras were there to record this historic event. Amelia Rose Earhart established a new record, being the youngest woman (31 years old) to fly around the world in a single engine aircraft. 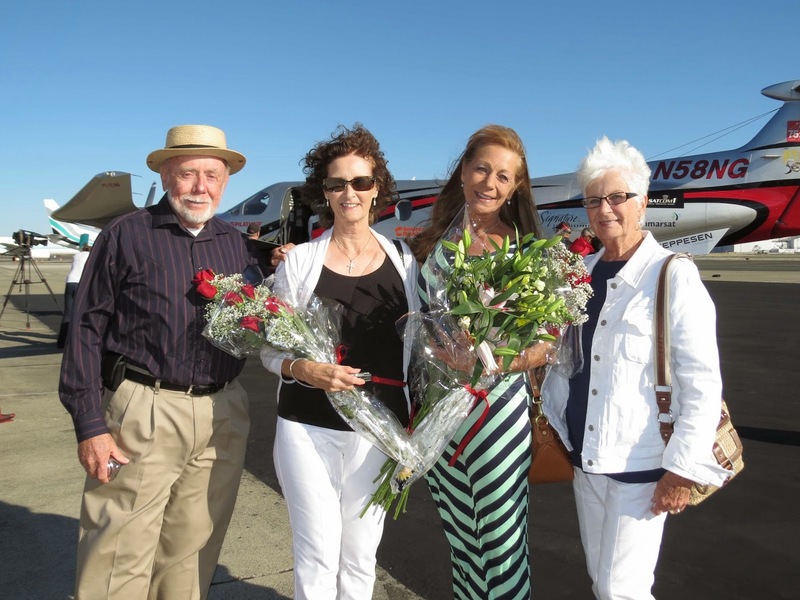 Ms. Earhart's mother, Debborah Dale, was there to greet her daughter upon arrival. 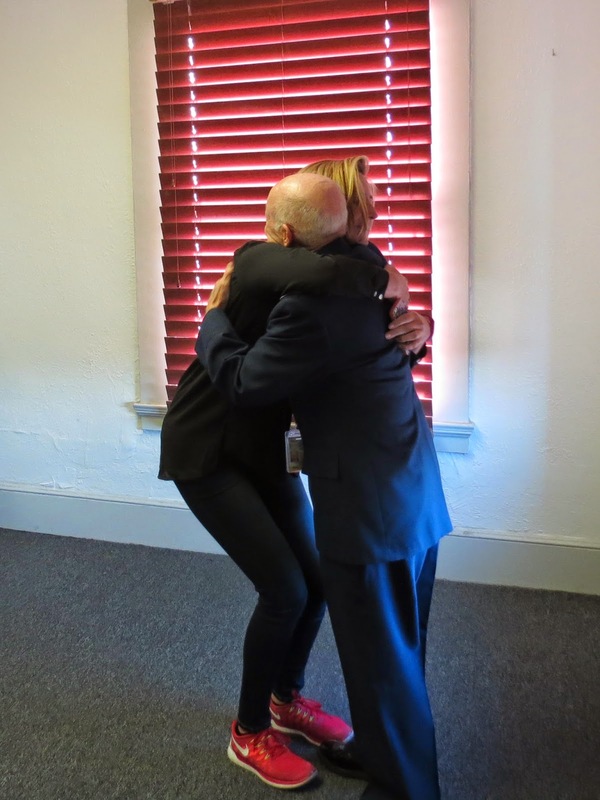 Her father, Glen Earhart, was also waiting to embrace his daughter after her historic accomplishment. the awards received by Sq. 188 in the last few years. Moreover, a gentleman by the name of Elwood Ballard was there, both at her departure and arrival. 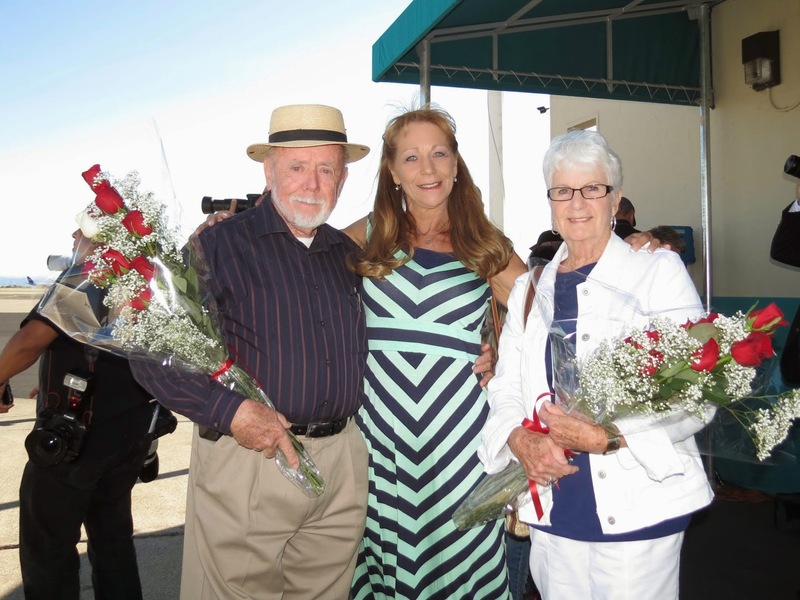 The reason Mr. Ballard wanted to be there was that as a young boy, his mom took him and his sibling to the Oakland Airport on May 20, 1937 to see Amelia Mary Earhart depart for her trip around the world. He wanted to see history repeat itself, this time in a more positive and happy way. 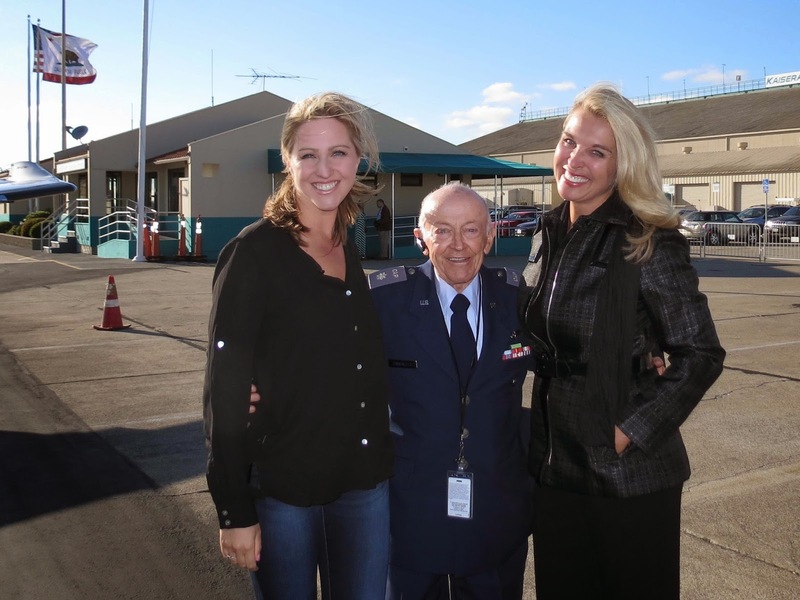 After all the TV interviews, Amelia Rose Earhart went to visit Squadron 188 Headquarters. That building, in the 1900s, was the first hotel at any United States airport. It was also the place where Amelia Mary Earhart used to stay before starting the several record braking flights out of Oakland. 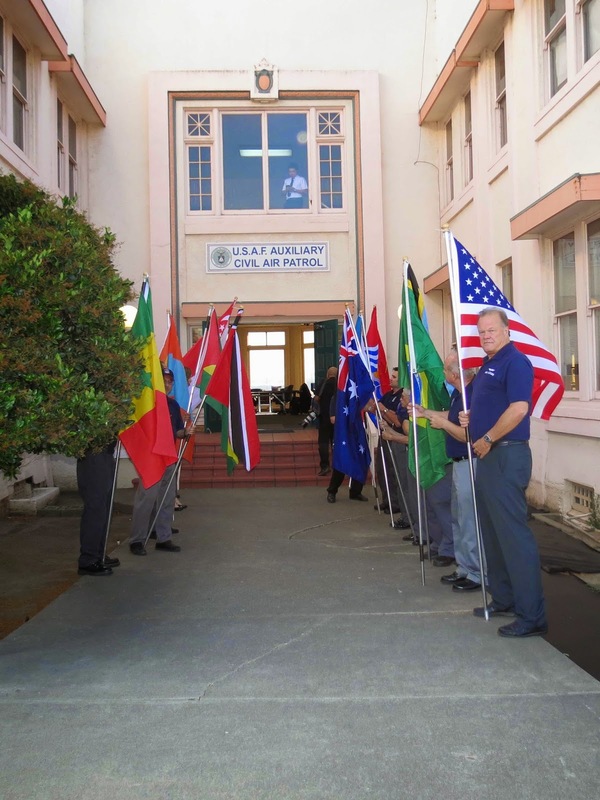 At the arrival of Amelia Rose, the members of Squadron 188 had formed an arch with the 14 flags of the countries she landed. Squardon 188 patches she took around the world. Squadron 188 Commander, Maj Noel Luneau, was there to greet Ms. Earhart and congratulate her on this accomplishment. 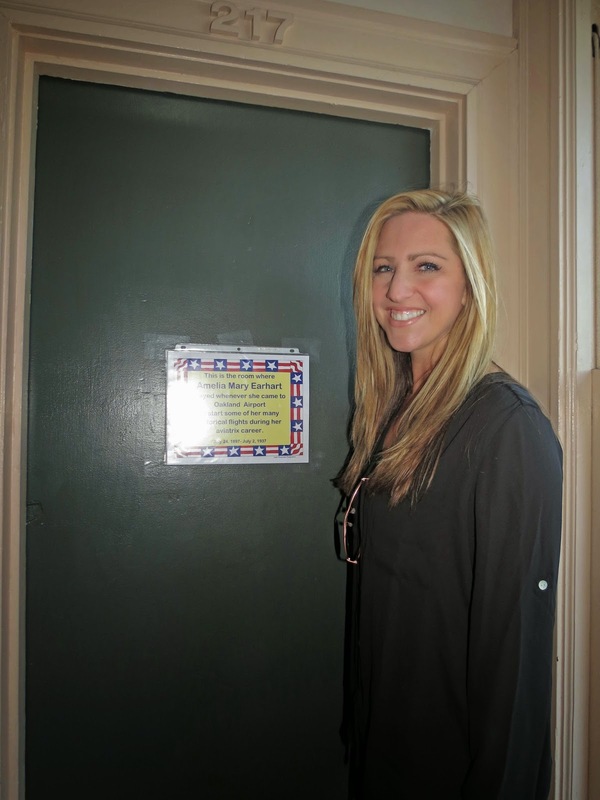 While there, she visited the Amelia Wall of Fame. 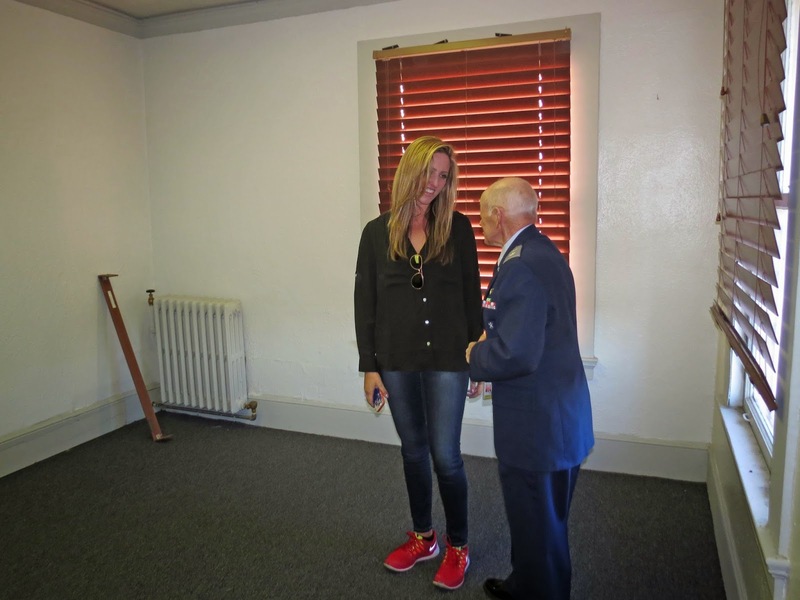 Subsequently, Lt Col Tinnirello escorted her to the second floor and showed her the room where Amelia Mary used to stay prior to departing on her many record breaking flights. It was a very emotional moment for everyone present. for the attendees at the Oakland Aerospace Museum. Amelia's world map that she took along on her trip. Senior members of Amelia Earhart, Senior Squadron 188 holding the 14 flags of all the countries Amelia Rose landed in during her trip. While talking with Amelia Rose Earhart she mentioned that the most emotional part of the whole trip was to circle Howland Island. She said that she always respected her namesake and her bravery, but seeing this tiny island took it to a whole new level. When she arrived at Howland Island, seeing the small piece of land in the middle of nowhere, about one and a half mile long and one half mile wide, made a huge impression on her. Well, she had GPS and all the modern equipment in the plane, so there was no problem to find it. A big contrast with Amelia Mary who had unreliable radio communication and a homing device. Airport in the Pilatus PC-12 NG plane. After departing Squadron 188, Ms. Earhart went to the Oakland Aerospace Museum and met with people, where she signed autographs and posed for picture taking with children and adults that came to congratulate her on this new historic record. Jordan, copilot Shane's mom and Debborah Dale. 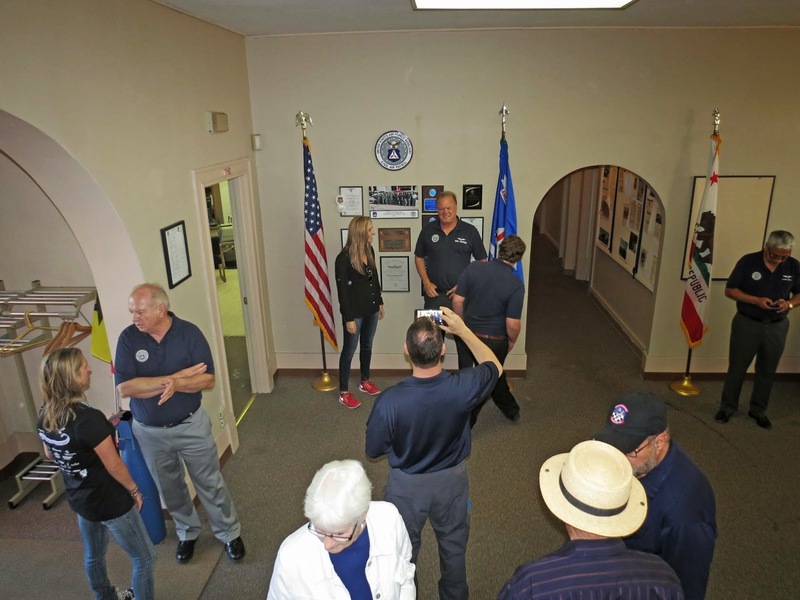 Ms. Amelia Rose Earhart also signed a photograph of her, dedicated to Civil Air Patrol, Squadron 188, and thanking the squadron for its participation in celebrating her return. Amelia Rose Earhart landed in during her trip.